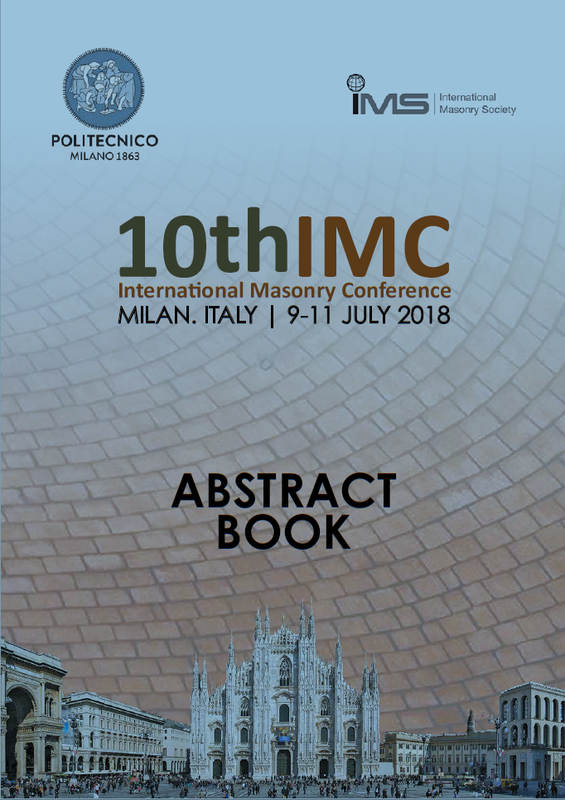 The 10th International Masonry Conference (10thIMC) continues the successful series started in 1986 in London, where the first International Masonry Conference was organized by the former British Masonry Society (now International Masonry Society, IMS). Since then, the IMS has organised this conference in a four-year rhythm in London, whereas the last two editions were held in Dresden, Germany (2010), and Guimarães, Portugal (2014). The 10thIMC was co-organized by the IMS and the Politecnico di Milano (Technical University of Milan), Italy, where the event took place 9 to 11 July 2018. The event was very successful, with over 150 participants, coming from 30 countries, registered in the conference, with more than 200 accepted papers. All papers submitted to the conference were reviewed using a single-blind peer review process. The Conference Scientific Committee decided about the acceptance or not of the submitted papers basing on the reports of a pool of experienced reviewers. Masonry, whether of stone or brick, is the oldest building material. In most countries, masonry buildings provide a major part of the architectural heritage, with masonry continuing to be much used in modern construction today. New techniques allow the construction of high rise buildings and the achievement of high energy performances in today’s new masonry buildings. 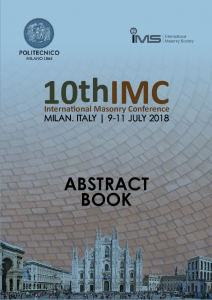 The Conferences organized by the IMS provide an important opportunity for researchers and professionals to exchange information on the advancement of new research in the field of masonry structures. The present book covers a broad range of topics dealing with ancient and new masonry structures, including analysis techniques for masonry structures, testing on masonry, material modelling, retrofitting and rehabilitation techniques with traditional and innovative materials, assessment and conservation of historical buildings, structural health monitoring, innovation in the design of masonry constructions. Several case studies are also presented, among which Milan Cathedral stands out for the special attention it received. We thank all the researchers, educators, students and professionals that accepted to exchange their experience and contribute to the success of masonry practice, research and innovation. We trust that the contributions in this book will be a precious guidance for practitioners in their future choices. We also would like to express our thanks to all the authors, keynote speakers, organizers of special sessions for their contributions, to the members of the International and Italian Scientific Committees for reviewing more than 400 abstracts and 200 papers in a short period, and to the Conference Secretariat for its precious and continuous assistance. Last but not least, we would like to thank all the sponsors and supporters of the Conference.